Clothing: Take cool casual clothes, it is preferable for women to cover their arms and legs, particularly when visiting a temples. Khmer is the official language in Cambodia. English is very popular with Khmer people for communicating with foreigners in administrative, commercial, diplomatic, economic, industrial, and tourist affairs. The older people educated at their local comprehensive school can speak French clearly. Khmer-English road and street sign are found nationwide. Cambodia is predominantly Buddhist. Like most other religions, there are many different types of Buddhism and about 95% of Cambodians belong to the Theravada sect of Buddhists. Religion is an important tradition in Cambodia, and for a very long time. Most Cambodians have not been willing to change. In more recent years, many Cambodians, especially Christian missionaries have been able to enter the country. Christianity as well as many false religions have been growing rapidly in Cambodia. 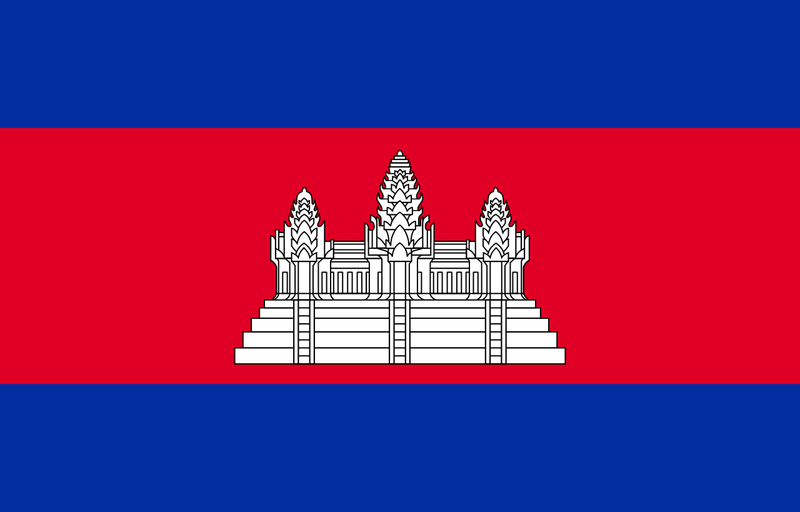 Cambodia is a country in Southeast Asia. Cambodia covered an area of 181,035square kilometers (69,898square miles) and lies entirely within the tropics between latitudes 10 and 15 N, longitudes 102 And 108 E. It northeast, and Vietnam to the east and southeast. It has 443-kilometer (275miles) coastline along the Gulf of Thailand. Capital and provinces are Cambodia’s First-level administrative divisions. Cambodia areas and divided into 24 provinces and one capital. Municipalities, District ( Srok or Khan ) are the second-level administrative divisions and 159 districts, and the capital is divided into 8 Khan. The districts in turn are further divided into communes ( Khum ) and Sangkat. The municipalities and Khan are divided into Sangkat. Latitude/Longitude (Capital City) 11’35’N,104’55’E and northern hemispheres. It’s positioned in Southeast Asia, a recognized geographical region of the Asia continent. The country is bordered by the golf of Thailand, and the countries of Laos, Thailand and Vietnam. Clothing, fishing, footwear, rice milling, rubber, shipping, textiles, timber, and tobacco. The Cambodia currency is RIEL that fluctuate a little if it is compared with a dollar. Riel denominations are 100,000; 50,000; 20,000; 10,000; 5,000; 2,000; 1,000; 500; 200; 100; and 50; Banknotes, which are printed in both Khmer and English increase in size according to value and are indifferent colors. Foreigner currencies can be easily changed at airport, hotels, or markets, but American dollar are widely accepted in Cambodia credit cards are only accepted in bank and main hotels. Romdoul, a small yellowish-white flower with a single alternate leaf, is the national flower of the kingdom of Cambodia. Since ancient times, Cambodia women have often been compared to the Romdoul flower because of its attractive fragrance, a unique scent that is prominent in the late afternoon and can travel over long distances with the wind. With its sturdy stems that measure up to 30cm, the Romdoul plant can grow to a height of 12 meters. These plants are planted to enhance public parks.